When you are in the market to buy new patio doors for your home, it might feel overwhelming to choose the right design style. 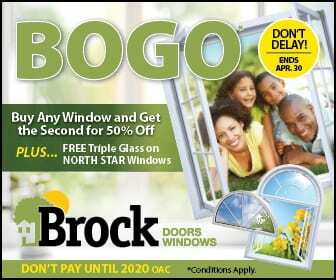 Here at Brock Doors and Windows, we offer a variety of doors and windows to meet your needs. Our team will stay by your side every step of the way, helping you to choose the right designs to fit your home. Consider the current style of your home and make sure that the patio doors match the rest of the décor. For example, if you have a contemporary design, then you should choose contemporary doors to match. It will look out of place to have a traditional or ornate design installed in a contemporary space. Also, choose the color to match the property. You might select window frames that match the outside color of the home. Or, you could choose a complimentary color to add contrast to the overall appearance of the property. If you choose swinging doors, then you need to check to see if there is room for the doors to move. Look at the wall placement of the doors and the layout of the furniture before you decide that swinging doors will be right for you. In small spaces, it makes sense to choose sliding doors because they don’t require much space. How much time do you want to spend on maintenance and cleaning? There is a fine balance between durability and aesthetics. It is important that you choose materials that are easy to maintain and that will last for many years. The doors will frequently be used as the family moves in and out of the home. So, you need to be sure that you can easily keep up with the ongoing maintenance and care. For example, low windows might be frustrating if you have young children that will be putting their smudgy fingerprints on the glass panes. Make sure that the doors contribute to the energy efficiency of your home. Glass is often a major design feature for these types of doors. Select high-quality glass that offers efficiency and other benefits for the room. You can choose certain styles of glass that keep your home insulated and are built to hold up against UV fading. When you are ready to install new patio doors in your home, then the best thing that you can do is call Brock Doors and Windows. Our team is here to answer your questions and to offer assistance with the installation. Call us to set up a time for your free consultation:1.800.449.3808. You are welcome to visit our showroom located in Toronto at 2131 McCowan Rd, Scarborough, ON M1S 3Y6, Canada or our Brampton location at 278 Orenda Rd, Brampton, ON L6T 4X6, Canada.